This is a five-storey, eight-alarm nightmare. It turns out Chris Hedges has a regular program on RT. On his program on the Kremlin’s propaganda channnel, he interviewed Noam Chomsky. The interview was dubbed into Russian and posted on YouTube on August 11. What in God’s name is going on in this world? Meanwhile, the geriatric perennial musical rebels known as The Rolling Stones have done an advertisment for VTB24, a wholly owned subsidiary of VTB Bank, whose main shareholder is the Russian Government. The main shareholder of VTB is the Russian Government, which owns 60.9% of the lender through its Federal Agency for State Property Management. The remaining shares are split between holders of its Global Depository Receipts and minority shareholders, both individuals and companies. In February 2011, the Government floated an additional 10% minus two shares of VTB Bank. The private investors, who paid a total of 95.7 billion rubles ($3.1 billion) for the assets, included the investment funds Generali, TPG Capital, China Investment Corp, a sovereign wealth fund responsible for managing China’s foreign exchange reserves, and companies affiliated with businessman Suleiman Kerimov. In May 2013 VTB completed a secondary public offering (SPO), issuing 2.5 trillion new additional shares by public subscription. All the shares have been placed on Moscow’s primary stock exchange. The government has not participated in the SPO so its stake in the bank decreased to 60.9% after the subscription has been closed. The bank has raised 102.5 billion rubles worth of additional capital. Three sovereign wealth funds Norway’s Norges Bank Investment Management, Qatar Holding LLC and the State Oil Fund of the Republic of Azerbaijan (SOFAZ) and commercial bank China Construction Bank became the largest investors during the SPO after purchasing more than half of the additional share issue. In October 2015, VTB chair and president Andrey Kostin went on CNBC to talk Syria, geopolitics, and the need to lift sanctions against Russia as quickly as possible. It’s no wonder that Kostin was concerned about these issues, because VTB have been accused of acting as banker for the Assad regime. Curiously, WikiLeaks is alleged to have removed evidence of the relationship between VTB and the Assad regime from a 2012 trove of hacked emails. According to a May 22, 2014, article in the Guardian, The Rolling Stones are music’s “biggest business.” Where is this business registered? * Is it exempt from the sanctions imposed by the US and the EU on VTB Bank and its wholly owned subsidiary, VTB24? I ask these questions to the wind, the Holy Spirit, and the inhabitants of other, distant galaxies, because I very much doubt that any of these niceties would bother the morally unimpeachable preacher Chris Hedges, the world’s greatest anti-imperialist Noam Chomsky, and those fun-loving seventy-year-old lads from London, just as long as they get paid on time and paid a lot. * UPDATE. The Rolling Stones apparently pay their taxes in the Netherlands, which is not only an EU country in good standing, but a country that lost many of its nationals when the Russian army decided to blow Flight MH17 out of the sky over Donbass on July 17, 2014, one of the actions that triggered western sanctions against Russian companies and individuals connected to the regime in the first place. But The Rolling Stones have bigger fish to fry. It’s hard to believable that a little over three years have passed since Russia downed Flight MH17 and what, all is forgiven and forgotten? Now the exemplary Dutch taxpapers Keith, Mick, and Charlie can promote a Russian bank that, I repeat, is still on the US-EU sanctions list, put in place after Russia’s violent actions against a neighboring sovereign country that threatened it in no way whatsoever? And how did the passengers on Flight MH17, over half of them Dutch nationals, threaten Russia? Win a trip to the Rolling Stones concert in Paris! Pay for purchases with the World Mastercard Black Edition card from VTB24 before September 15 and, perhaps, it will be you who makes it to the concert by the legendary rock musicians. The winner of the promotion will receive two tickets for special places in the group’s own box and the right to skip the queue, a meeting with members of The Rolling Stones, a keepsake photo, and a gift from the group. The link leads to a page on VTB24’s own website, promoting its World Mastercard Black Edition Privilege Card and providing a few more details about the promotion, including the fact that you are eligible to win only if you spend 50,000 rubles [approx. 725 euros according to exchange rates on September 9, 2017] or more in purchases using the card between August 1 and September 15. According to the Rambler news website, the average monthly salary in Moscow during the second quarter of 2017 was 49,900 rubles. On April 21, 2017, popular Petersburg news website Fontanka.ru, citing Rosstat as its source, published a brief item stating the average monthly salary in Petersburg in February 2017 was 51,024 rubles [sic]. I won’t bother citing average monthly salaries in Russia’s eighty-one other regions. They would be higher only in the handful of regions where oil and gas is produced, and much lower in most regions that do not produce oil and gas. Most people in those regions live in what would be regarded as abject poverty in the west. 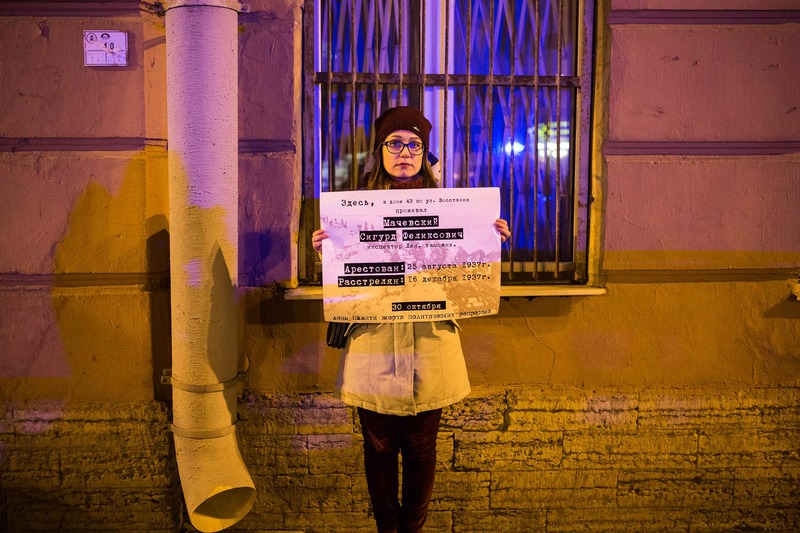 So, even in the so-called two capitals of Moscow and Petersburg, the actually nonexistent average inhabitant would have to blow an entire month’s wages buying things with a card she probably cannot afford to have in the first place in order to have a slim chance to win the promotion and see The Rolling Stones in Paris. This still begs the question of whether The Rolling Stones, a highly profitable company that, at least until 2007 (see above), paid its bare minimum of taxes in the Netherlands, can do business with a Russian bank on the US-EU sanctions list. Kommersant has learned that volunteers at Russian universities have been working to assess the “protest potential” of students and professors. The results will be “compiled as memorandums for official use by state authorities.” Attendees of the Russian Congress of University Vice Chancellors for Morale and Discipline, which took place this past weekend, discussed the assessment. The authors of the study have discovered that the “destructive promotion of anti-state ideas has been occurring” among the student bodies and faculties of the capital’s universities. On the eve of the presidential election, they intend to shift their focus to regional universities. It was the sixth time the Russian Congress of University Vice Chancellors for Morale and Discipline had taken place in Moscow. Representatives of 642 educational organizations from eighty-one regions attended the congress. Prime Minister Dmitry Medvedev sent his greetings to the congress, and guests of honor included Stanislav Sulakov, acting head of the Moscow Center for Extremism Prevention (Center “E”), Metropolitan Merkurii, chair of the Synodal Department for Religious Education and Catechesis, and Ernestas Mackevičius, presenter of the news program Vesti. The meeting of the vice chancellors kicked off with a discussion of a sensitive issue. Alexander Stradze, former head of the Department of State Policy on the Education of Children and Youth, one of the first officials to be dismissed by Olga Vasilyeva, the new Minister of Education and Science, tried to define the vector of the discussion. He introduced himself as assistant head of Rossotrudnichestvo, but from force of habit he attempted to preach to the vice chancellors. Alexander Balitsky, vice chancellor at Izhevsk Technical University and a former lecturer in the department of scientific socialism, tore the ex-official’s speech to shreds. Mr. Balitsky casually, as it were, mentioned that the Ministry of Education and Science has been implementing a nationwide project entitled “Time to Act,” and read aloud a message from [ministry] officials to university students. “But now there have been changes in the ministry,” an audience member reminded him. “Thank God,” the speaker replied. “Yeah, and there won’t be anymore Soroses,” someone joyfully shouted from the crowd. Complaining that “western planners” use the “practice of inspiring coups,” he acknowledged university students were one of the main “destructors.” To keep the country from “plunging into chaos and anarchy,” Mr. Danyuk’s team had drafted a special educational program, entitled “Scenarios of Russia’s Future,” a series of lectures on “combating politically destructive forces.” Over the past two years, Mr. Danyuk and his colleagues had visited over forty universities in Moscow and a dozen regional universities, where they had encouraged the students to openly express their own views on political issues “and even join in the discussion.” Surrounded by his colleagues, however, Danyuk admitted the real purpose of the trip had been to assess the “protest potential” of students and lecturers. The Institute of Strategic Studies and Forecasting at the Russian People’s Friendship University is headed by Georgy Filimonov, a professor in the department of the theory and history of international relations. The university’s website relates that, from 2005 to 2009, Prof. Filimonov worked in the presidential administration as a foreign policy advisor. According to Mr. Danyuk, the “Scenarios of Russia’s Future” lecture series has been implemented with the involvement of the Anti-Maidan Movement, political scientist Nikolai Starikov, and “other media figures.” The project has already been the source of controversy. 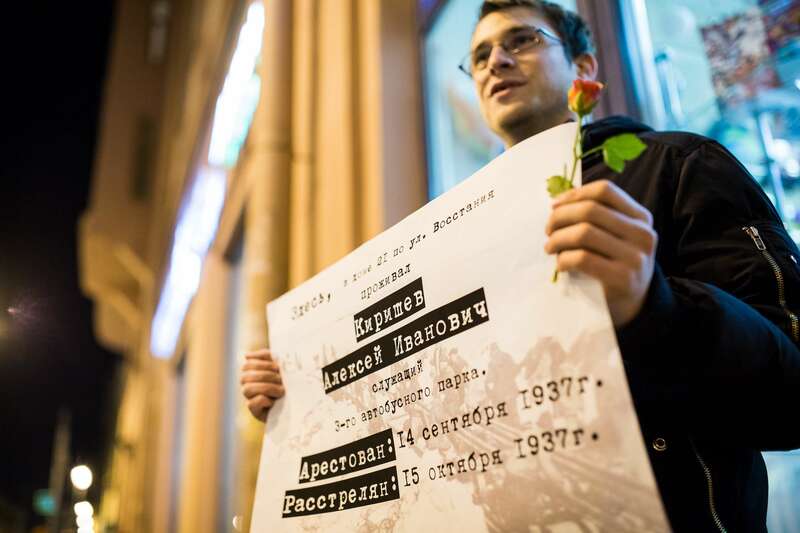 In May 2015, students and lecturers at the Russian State University for the Humanities attempted to disrupt a lecture by Nikolai Starikov at their university. Mr. Danyuk confirmed to Kommersant that he had been at the event. In his opinion, the protest had been organized not by students, but by lecturers at the university. “The strategy of our foreign so-called colleagues has changed. The protest potential has now shifted to the regions, and we are really interested in making contact with people from regional universities and organizing events there,” he said. At the end of the event, the vice chancellors queued up to talk with Mr. Danyuk, vying with each other to invite him to their universities and assess the “protest potential” of their colleagues. * According to an article, dated March 15, 2016, in the magazine Sekret firmy, businessman Oskar Hartmann was born in Kazakhstan to a family of Russian Germans. Others with piquant denunciations, handprinted in block letters. Nod their approval to the kids, whose snub noses gleam with ardor. Chasing out sleepy Dad from the double bed where they were made. What can you do? Such is youth. Strangling them would be uncouth. Students at the Russian State University for the Humanities disrupted a lecture by Nikolai Starikov, a member of the Anti-Maidan movement. They were supported by some professors. How, in your opinion, should the conversion of public universities into hotbeds of liberalism and a source of manpower for a Russian Maidan be stopped? Editor’s Note. The survey results were current as of 1:30 p.m. Moscow time on May 27, 2015. Thanks to the invaluable Andrei Malgin for the heads-up. Recently, debates about how bad things are in Russia—whether they are very bad or whether there is light at the end of the tunnel—have been topical. 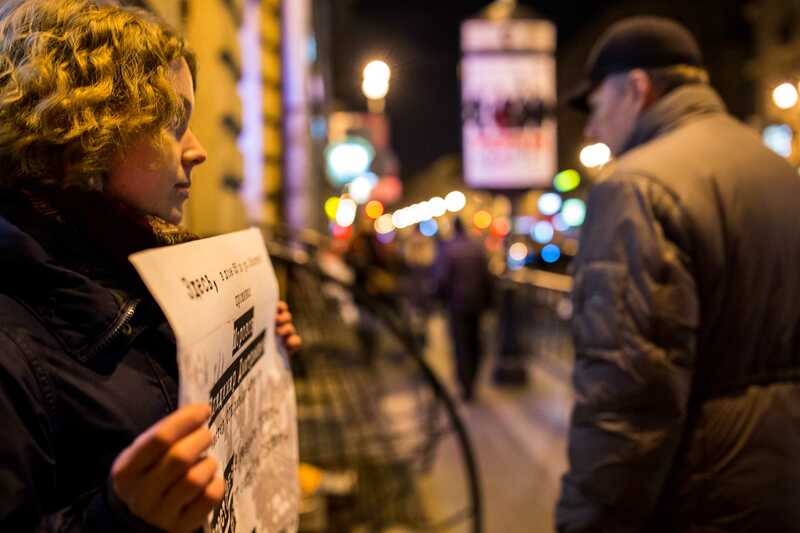 For example, an article by Maria Snegovaya and Denis Volkov, published in Vedomosti (January 20, 2015), dealt with the political mood of Russian young people. The authors came to a relatively optimistic conclusion. Young people were much more democratic and focused on Western values than the older generation. This attitude on the part of young people gave the authors hope for social and political change in the foreseeable future. Research carried out by the Higher School of Economics in 2012–2013, as part of the European project MYPLACE: Memory, Youth, Political Legacy and Civic Engagement, found that the views of Russian young people were much more complicated and confusing than has been suggested by the usual divisions into “pro-Russian” and “pro-Western,” “pro-Putin” and “oppositional” camps. Our data consisted of 1,200 surveys, answered by young people 16–25 years of age in Saint Petersburg and Vyborg, and sixty in-depth interviews with survey participants where we had the opportunity to discuss the political views of respondents in greater depth. The interviews showed the survey data had to be treated with caution. Even if a person had come across as liberal in the survey, it did not mean they did not consider Stalin an effective manager, and Putin, a democratic leader. 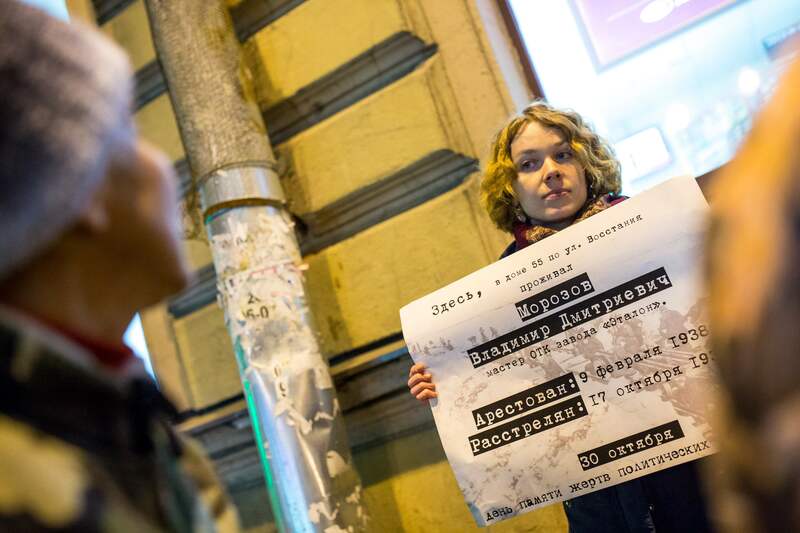 Entrusting Russian young people with one’s political hopes is, at very least, premature. They have noticeable problems with political consciousness. Until we got to politics, the vast majority of our respondents gave the impression of being quite conscious, informed, independent citizens. But when it came to political issues, many felt insecure and did not want to analyze them. In part, this explains the comfortable, quite normative choices of answers in the questionnaire. It was easier to check off that you support freedom of speech, the ability of citizens to shape events at home, and other “correct” answers. On the other hand, young people have traditionally delegated responsibility to “adults” and “those who know best.” This position—that we are “little”, that we have to finish our educations, and get our own lives up and running—is a powerful barrier to collective action. It is curious this stance is a response to the attitude of “adults” towards young people. In the Russian discourse, young people are usually imagined as dependent objects in need of refinement, “patriotic” and other mentoring, but not as subjects of their own destinies. (Elena Omelchenko, director of the Center for Youth Studies at the Higher School of Economics, has long argued this point; see, for example, her article “Youth Activism in Russia and Global Transformations of Its Meaning.”) Young people willingly accept this position and do not want to change anything. Consequently, they do not shape the participatory skills, the civic skills they would need for political engagement in adulthood. Postponing interest in politics “for later,” young people practically postpone it forever. No wonder that a variety of civic education programs designed to instill the habits of citizens in young people are so popular all over the world. When pinning hopes on young people, we need to consider two other things. First, young people, as they grow up, often forget about tolerance and the experiments of adolescence. Second, in Russian society there is not the radical ideological and cultural gap between the generations of parents and children that would be necessary for the kind of revolutionary outbursts of student unrest the world saw in 1968. For our respondents, parents and older relatives are the only people who can be trusted, and when making decisions, young people are guided by their opinions. Some respondents from the older age group (21–25 years of age) voted the same way in the 2011–2012 elections as their parents had. Moreover, family discussions of political change and parents’ opinions of the 1990s, the “restoration of order” in the 2000s, and even Soviet times have a much stronger impact on young people than any TV propaganda, which our respondents fairly easily identified and ignored, in contrast to the views of their elders. 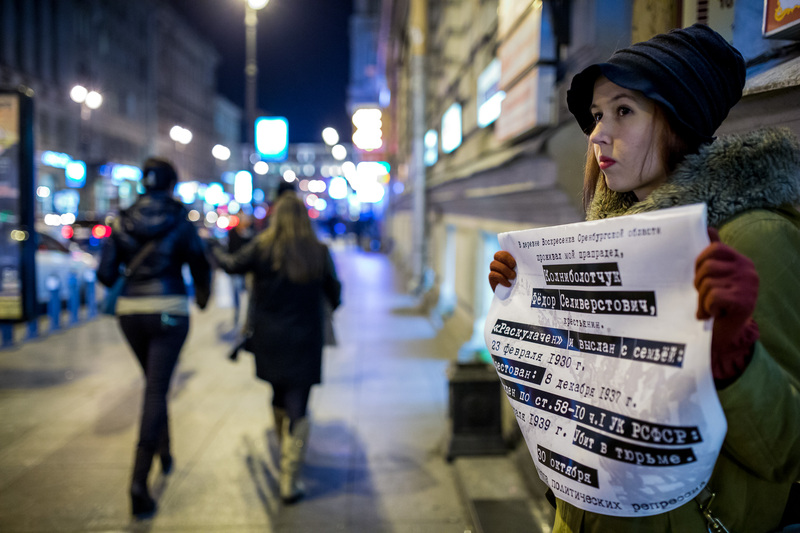 It is often forgotten that Russian society is experiencing a crisis of confidence in public institutions as well as in people outside the closest circles of friends and family. Our respondents are far from being ideological rebels in their families. Even if you do not agree about something with your parents, only they can be counted on for support, and only they want the best for you. Under these circumstances, it was to be expected that the interviews showed the young people were extremely alienated from politics in general. Politics and everything associated with it was a “dirty business” in which involvement was absolutely senseless. This feeling of meaninglessness has been another important factor blocking attempts by even critically minded and informed young people from participating in political and civic processes. “Nothing can change” and “Everything has already been decided for us” were the phrases they used to explain their own lack of involvement. This, however, is not an exclusively Russian trait. Studies of European young people have also demonstrated a long-term, growing disillusionment with formal politics, declining interest in political parties, elections, and so on (see Flash Eurobarometer 375, April–May 2013). Interpreting sociological data and trying to use them to make forecasts is a complicated and often thankless task, especially when it comes to mass mobilization, revolutions, riots, and similar “flash” events. Researchers of social movements have long been struggling with the question of why people do, nevertheless, take to the streets. Even in the most difficult conditions, when there is strong dissatisfaction with the situation, policies, and the regime, protests may or may not happen. That is why the analysis of attitudes and stated opinions is not an effective way of predicting behavior. People do not always do what they say, and even if they honestly believe in liberal values, it is not a given that at the crucial moment they will back up their statements with action. On the other hand, if they keep silent, it does not mean this will always be the case.